During the last few months of 2012, I took an Artist’s Way class. 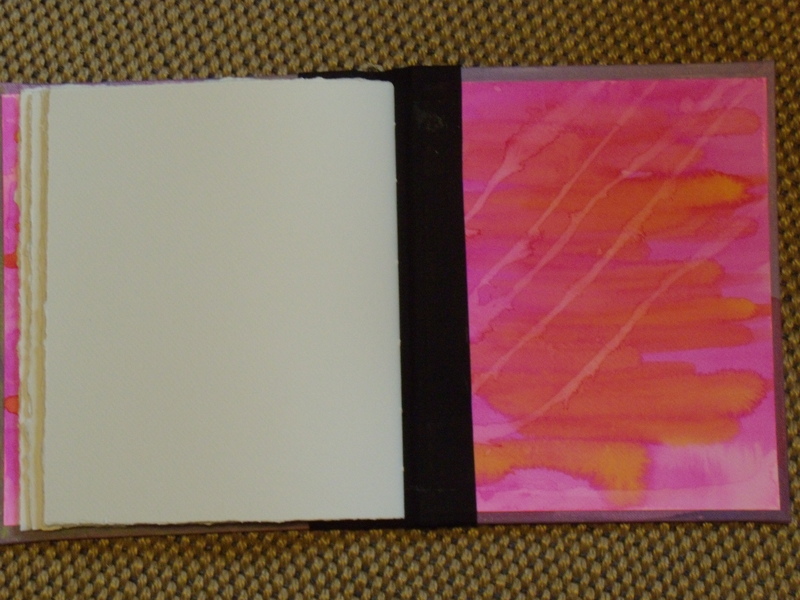 My major project for the program was hand-making two books. Here are the high-level steps, as well as a downloadable document (Handmaking a Journal) in case you want more details to try making your own book. Paint the front and back covers. 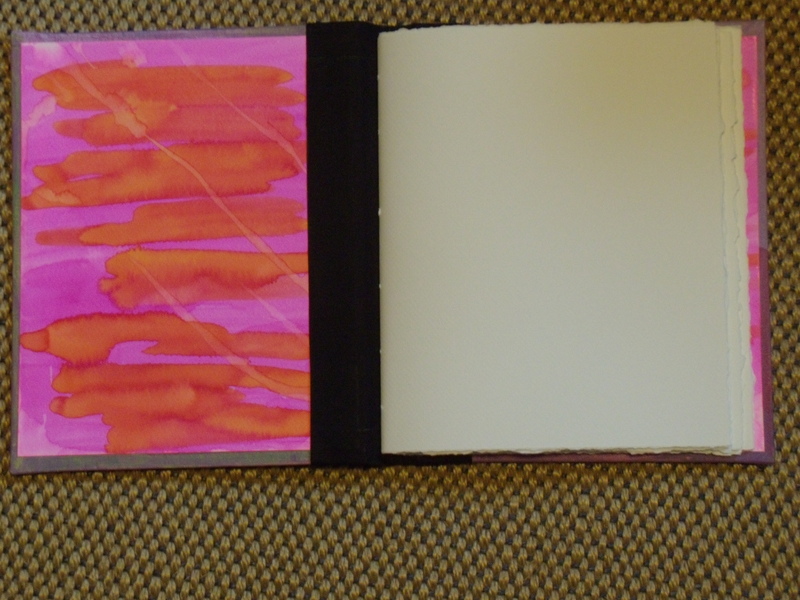 Paint the end papers (inside of the covers) and glue them in. 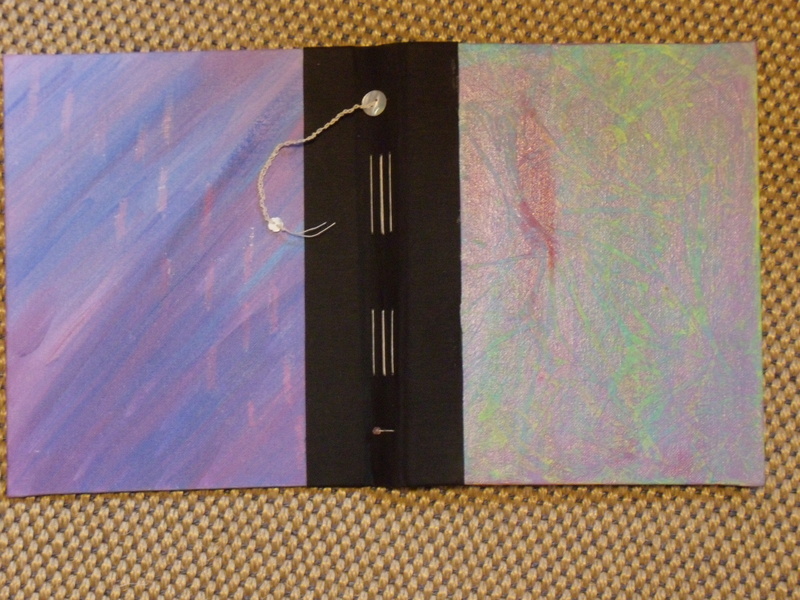 Put the cover together using book cloth (binding tape) and glue. Prepare for sewing by making holes in the paper and spine. Sew in the signatures, adding beads, buttons, etc. as desired. 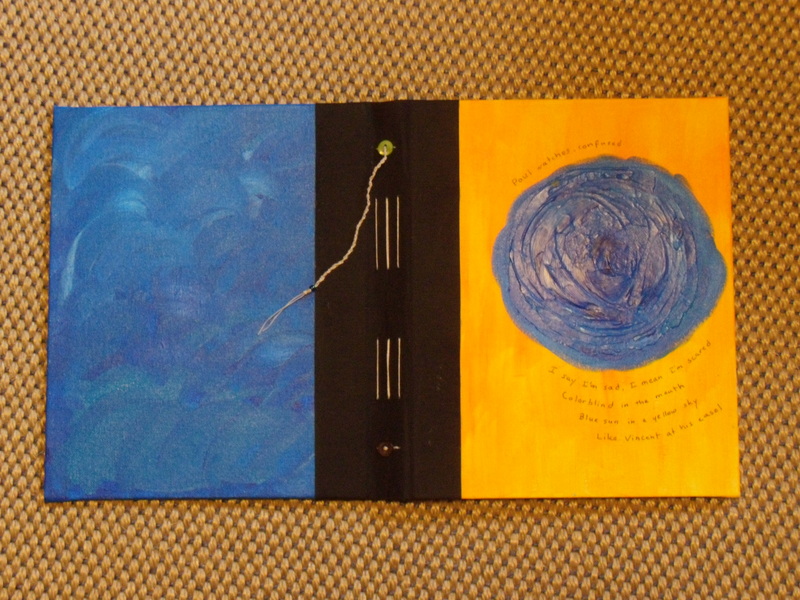 Now please keep in mind, this was a creativity class, not a book-making class—so don’t judge my efforts too harshly! 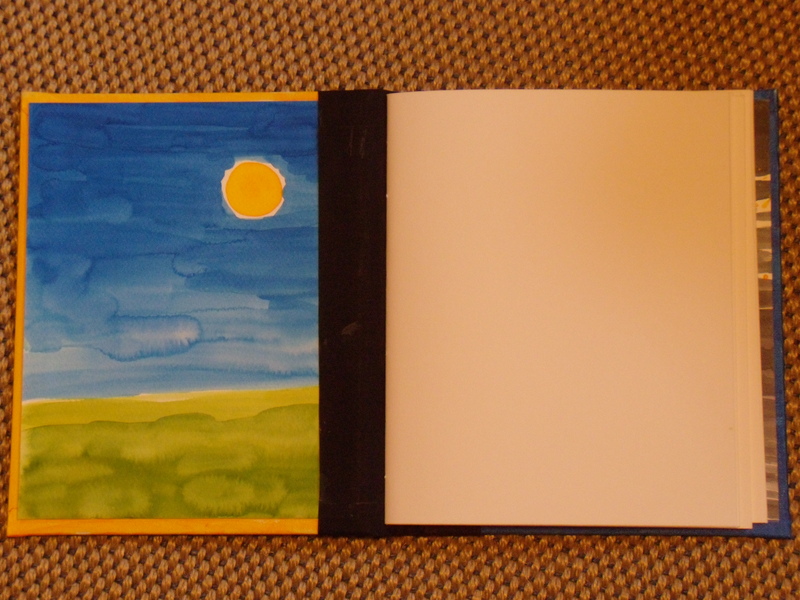 Journal 1 – …same covers inside. 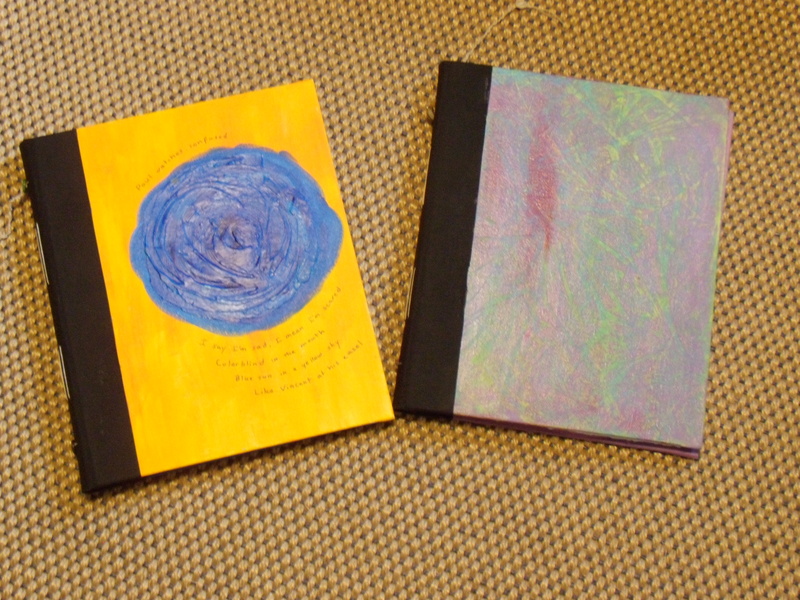 Journal 2 – Two different covers – Can you read the poem on the front cover? 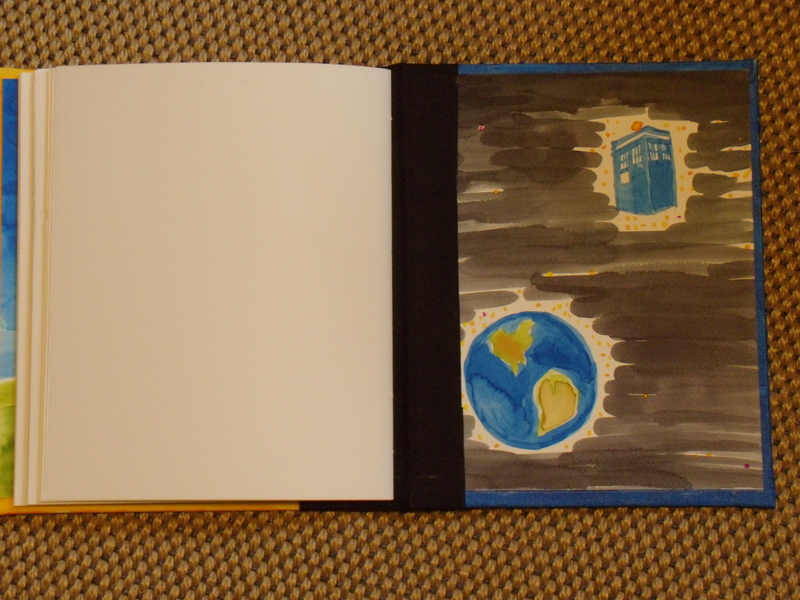 Journal 2 – Inside back cover – What’s that blue thing flying through space? The TARDIS!! 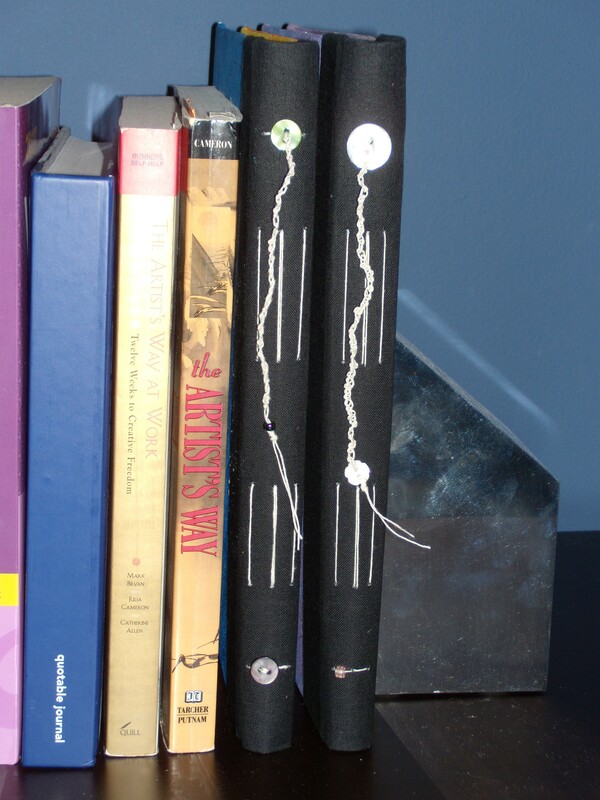 Two finished journals on the shelf!